Chris Alesio could have gone elsewhere to play his college ball, but chose Siena College, near his hometown outside Schenectady, NY, he told The Schenectady Daily Gazette in 2014. "I picked Siena, and everyone thought I was crazy," Alesio told The Daily Gazette. "But coach (Tony) Rossi told me that he would make sure I graduated, and that I would also start. It worked out great for me." Alesio spoke on the occasion of making the Siena College Athletics Hall of Fame. Alesio went on from Siena to make the pros. He played a single season, then went on to a long career in medical device sales. 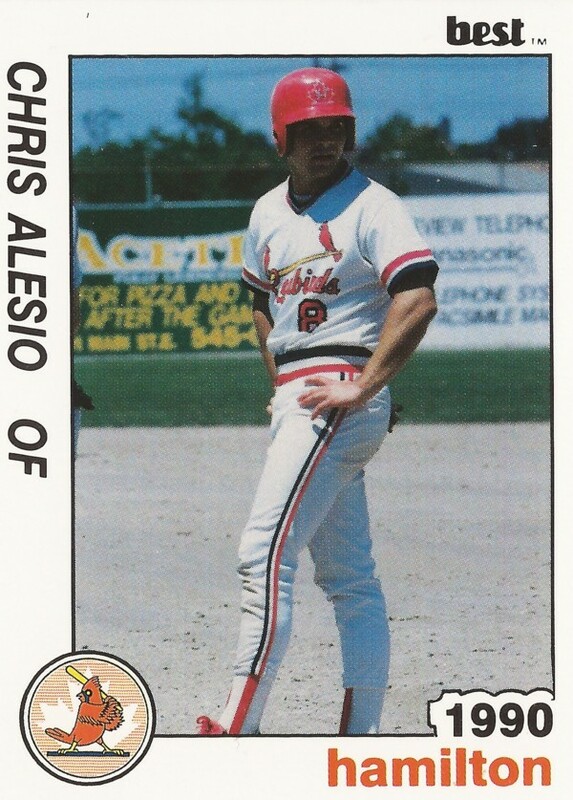 Alesio's pro career began and ended in 1990, signed by the Cardinals as an undrafted free agent out of Siena. At Siena, Alesio hit five home runs and stole nine bases as a freshman in 1986. He hit .357 over his career, still fourth best in school history. He also smacked 149 total hits. Alesio hoped to be drafted, but that didn't materialize. Instead, he signed as a free agent. "That's been my dream since I was 12," Alesio told one paper in 1988 about going pro. "Just show me the dotted line." 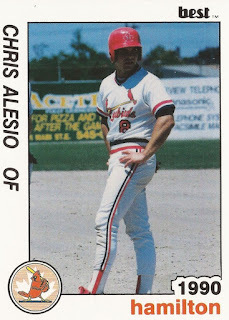 With the Cardinals, Alesio played his season at short-season Hamilton. He got into 39 games in the field, hitting .217. He knocked in 10 runs and stole two bases. Alesio also got brief time on the mound. In three appearances, he pitched six innings and gave up four earned runs. Since his season as a pro, Alesio returned home and started his career in medical device sales. He made the Siena Hall of Fame in 2014. I think I took the energy that I put into baseball, athletics and schooling and I said 'let me take that energy and see what I can do in life,'" Alesio told Siena in his induction video. "And I think it's just helped me stay focused."